This Irish crystal baby cup features an etched stork holding an infant. This Irish baby cup features an etched stork on 24% leaded crystal. The Irish crystal baby cup measures 3" tall and it is an ideal keepsake or baptism gift. 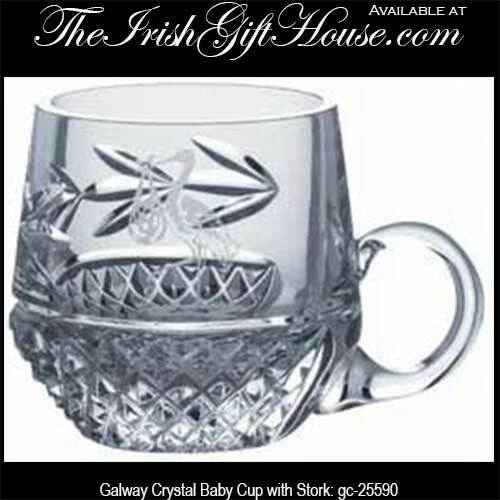 The Galway Crystal baby cup is gift boxed, complements of The Irish Gift House.